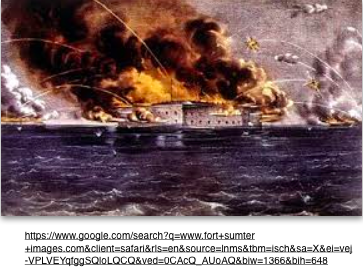 Fort Sumter was the first battle that happened on April 12-14 in 1861. This battle happened after South Carolina seceded from the Union. The Union was lead by Maj. Robert Anderson with 85 soldiers. On April 11, Confederate general, P.G.T Beauregard came to Fort Sumter and ordered Anderson to surrender but he refused to. Because of Anderson not surrendering, they fought. In the end the Confederate won, because Anderson decided to surrender the fort. Because of him doing this, none of the Union soldiers was killed. This battle happened on September 16-18 in 1862. George B. McClellan led the Union army and Robert E. Lee led the Confederate Army. George sent less than 3 quarters of his army. They fought one of the most bloodiest battles on that day. In the end The Union won the battle. This victory led to the creation of Emancipation Proclamation document. 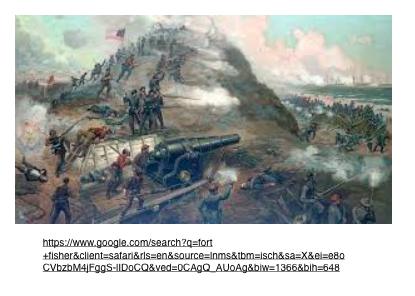 The battle of Vicksburg was on May 18 - July 4, 1863. This battle was one the most remarkable campaigns of the Civil War. There was 77,000 Union soldiers and 33,000 Confederate soldiers. Ulysses S. Grant led the Union Army and John Pemberton led the Confederate Army. 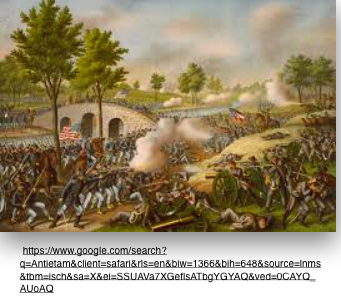 1,611 soldiers was killed in this battle, 806 of them was apart of the Union and 805 of them was part of the Confederate Army. In the end of the battle, the Union won. 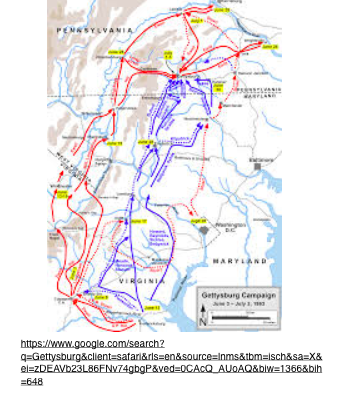 The battle of Gettysburg was in Pennsylvania on July 1-3, 1863. George G. Meade led the Union Army and Robert E. Lee led the Confederate Army. What started it was Lee was planning to gather supplies in Pennsylvania farmland and move the fighting away from Virginia. Robert thought that he could beat the Union on their soil, but he thought wrong. The Union took their advantage and won against the Confederate Army. In the end, the result was 51,112 casualties. Most of the casualties was soldiers that was wounded. Sherman’s march to sea was on November 15 to December 21, 1824. 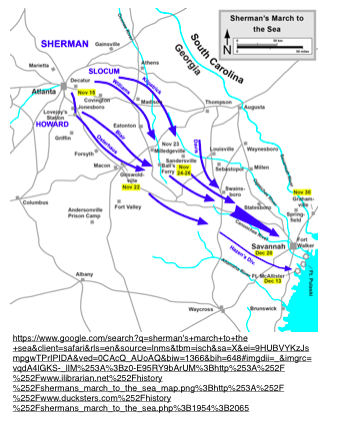 This march was led by William Sherman, Union General, to the port of Savannah. On his way there, he destroyed anything that was in his path. He made a drop in the South economy and supplies for the Confederate. The march was one of the biggest turning points for the Union. Many Southerners lost their home, money, and many others things was lost during this time period. Fort Fisher happened on January 13-15, 1865. After General Butler was relieved of his duty, Alfred was put in control of the Union navy. Alfred decided to attack General Hoke's on January 13. After that there was a bloody and fearsome battle between the Confederate and the Union. As a result of this battle, the Confederat surrendered to the Union. This campaign happened on April 9, 1865. The Confederate was led by General Lee with 26,000 soldiers. 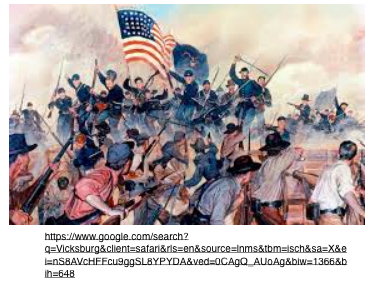 The Union was led by General Grant with only 63,285 soldiers. The Appomattox had 700 casualties in 1865. 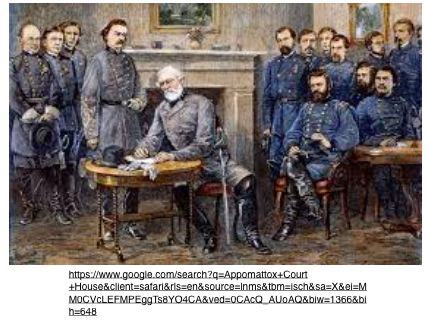 In the end the Confederate was ordered to retreat and the Union won on the Appomattox River. The one thing that caught my attention is that the Union let the Confederate soldiers go back home.